Helping doctors get access to critical data about their patients – what could be more important? 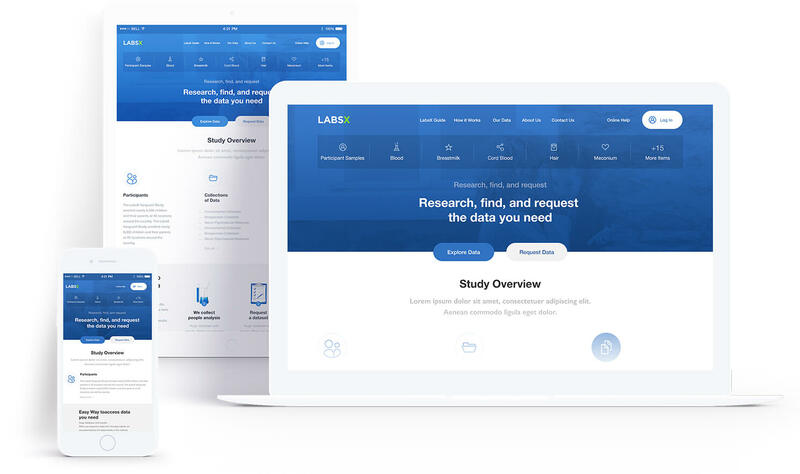 We helped design this platform that allows doctors fast and easy access to the most critical information necessary to help your patients? There are often times when doctors don’t have all necessary information to properly care for their patients. This is where LABSX comes in to fill this gap and help healthcare practitioners. The right diagnosis for patients is possible only when doctors have all indispensable information: for that, we have created a platform to help doctors all across the country easily access that information. With this application, we were able to create a powerful national search engine of medical information from thousands of sources, organize the data into a unified system of medical terminology and deliver it back to the medical professional in seconds. This is what we call making the complex comprehensible. A fresh approach to traditional colors associated with the medical field. Blue is by far the most used color in any hospital, or care facility, followed by green. But when combined with vibrant yellow and purple, the color system built for this application came to life and created a visually stimulating and engaging experience for doctors and nurses everywhere. The key factor in the UI design was to find the right balance between fewer choices and too many, to have the options to quickly go back, refine and start again. There is nothing more frustrating than not being able to find the right information needed at a critical moment. When you add to this equation that your search may impact the health and well-being of your patients, things only get more frustrating. We understood the issue – this is why the interface we designed is information balanced and extremely easy to use.